It’s so cold, global warming is a hoax! Lou Dobbs (not the most unbiased fella on the tube) had CNN meteorologist Chad Myers on the other day, and the weatherman claimed that global warming is not man-made because that would be arrogant, or something of the sort. This has been one of the various anecdotes that are being touted as proving that global warming is not happening, and even if it is, the problem is not humanity’s fault and we can’t fix it so we should just keep fiddling. It’s sad that this comes up so frequently. 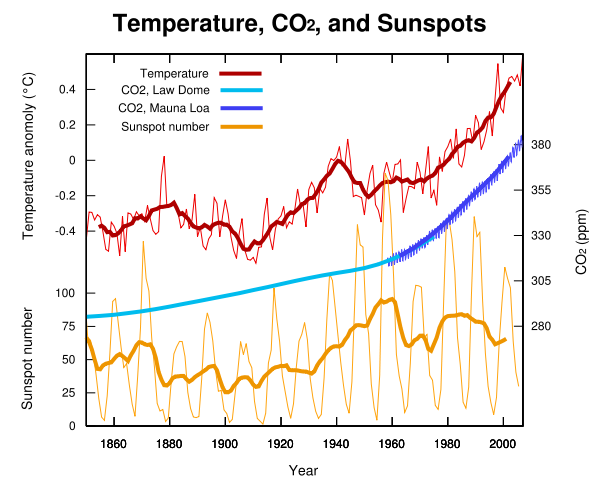 The meteorological year, December 2007 through November 2008, was the coolest year since 2000, according to the Goddard Institute for Space Studies analysis of surface air temperature measurements. It was the ninth warmest year in the period of instrumental measurements, which extends back to 1880. The nine warmest years all occur within the eleven-year period 1998-2008. 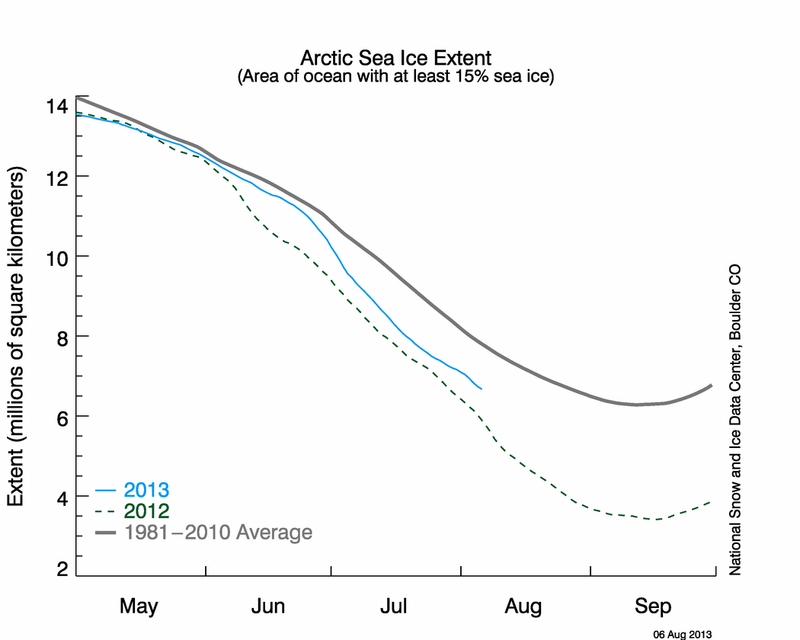 Arctic sea ice has not, in actual scientifically verified fact, improved extent over previous years. It was, indeed, 220,000 square miles more ice cover than last year in November. However, it’s still 260,000 square miles lower than the average 1979-2000 coverage. Furthermore, the extent of coverage has peaked and stopped its rapid growth. Look at the graph linked above – we’re now seeing that the sea ice extent will likely drop below last year’s already-sad numbers by the end of 2008. Air temperatures above the ice remain unusually high, and this will cause a slowing of the ice growth. You may be familiar with warmth and melting. This entry was posted in News, Science, Stupid People and tagged climate change, denialists, global warming on 2008.12.24 by Gary.